I was fortunate enough to meet Massimo Magliocco in the summer of 2012, having been invited to a weekend’s training course in Italian Style Casting in Derbyshire, UK. I was immediately impressed with his superb casting skills and was intrigued by how different his style of casting was compared with that traditionally practiced by UK flyfishers. 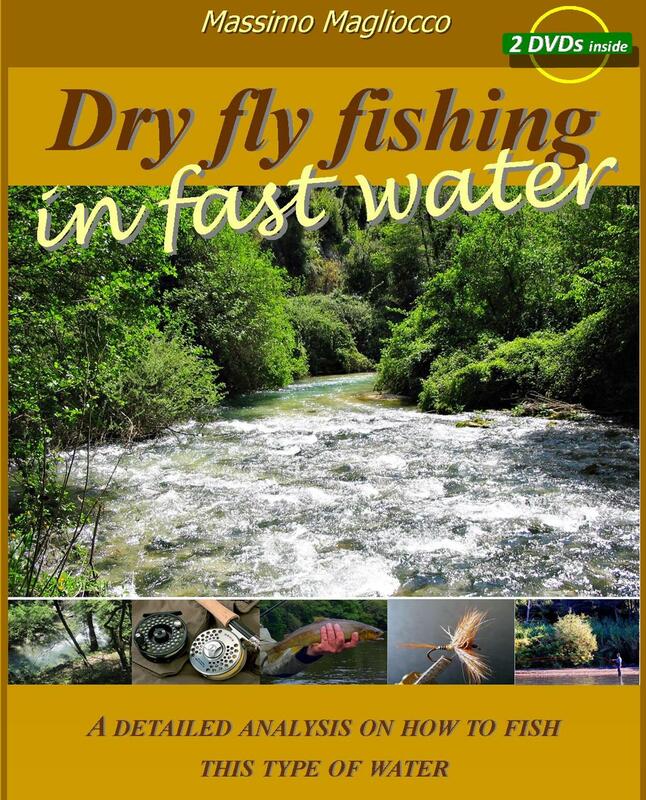 I soon learned of the distinct advantages of this style of casting with respect to fly-first dry fly presentation and the control of that curse of the dry fly fisher’s life, drag. This book explains how the style and equipment evolved to combat the problems of fishing in fast flowing streams with complex currents and in many cases overhanging marginal trees. It also explains how to tackle such waters where high line speed, tight loops and good line control are essential if success is to be achieved. Traditionally such challenging waters were the preserve of the wet fly fisherman, but thanks to the Italian Style of casting it is possible to effectively fish with dry flies, possibly with even more success than the subsurface fly. 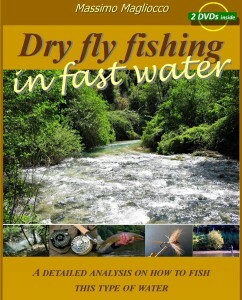 Massimo deals with the approach, the casting, the choice of dry fly and other essential aspects of fishing fast waters. Explaining the dynamics of specific casts is difficult to do in words, but fortunately Massimo has produced some excellent videos that show clearly how to perform each of the various casts required to fully exploit fast water situations. Having frequently seen Massimo demonstrating his casting skills and having fished with him on several occasions in both the UK and Italy, I can honestly say that I have never seen a more elegant or proficient caster. Having learned the basics of this style of casting I have seen first hand the benefits. Even though I will never reach the level of the Maestro I can now cast my fly to fish deep under overhanging trees that could never have been reached before: I can accurately cast a long (5m) leader and dry fly into a brisk wind: I can present my fly before the leader and line land, delaying drag and ensuring that the first thing the fish senses landing on the water is ‘food’ and I can more readily introduce the slack into my leader and line thus delaying drag. Fast water dry fly fishing is both exciting and productive as long as one has the requisite skills. I hope that those who read this book will be inspired to fish those parts of the river that they have previously thought to be unfishable with the dry fly and that it will help them to achieve success. These are the challenges presented to all of us at some point and more so in the wild turbulent small streams with heavy vegetation. When I was first introduced to Massimo Magliocco and his casting technique I was very much a fly fishermen using the more traditional approaches to casting. It was through Massimo and watching the manner in which he approached complex situations while fishing that converted me to a new set of casts, technique and equipment. Being able to address each one of those former situations with confidence and a range of casts has opened up a whole new world of fly dry fly fishing to me and others. Massimo is one of Italy’s most accomplished fly fishermen, innovative and tireless in trying to improve both casting and fishing techniques. His analytical, yet practical, approach to fly fishing, now outlined in his book, will provide you with the opportunity to improve your fly fishing whether it be on a river or a small overgrown stream. So let your imagination flow while you read how Massimo approaches his fly fishing. I only wish I had started my journey 40 years ago with these insights.